Superyacht Spotter is dedicated to yacht enthusiasts around the globe. Superyacht Spotter enthusiasts from around the world who hang around docks, marinas, shipyards and ports, snapping photos of Superyachts and reporting their geographical locations. Some are in the yacht business, others live by the water or own boats themselves. But all share what they call a “passion” for Superyachts. Subscribed users of Superyacht Spotter are able to use certain extra Services, such as making spotter reports and uploading photos. We encourage everyone to get involved by posting photos and report sighting of Superyachts during your travels. Superyacht Spotter is a powerful Superyacht resource with features designed to enhance the Superyacht-spotting experience. 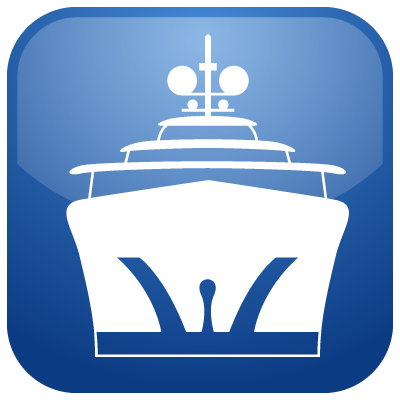 One feature of the App is “Yacht cards”, a resource of Superyacht information for the community. So if you should find yourself anchored in a harbour or walking the docks and notice a Superyacht close-by, you can simply refer to the App and find all the information you need on the yacht including; vessel specifications, photos and a list of her reported sighting.